Loud noises help startle your attacker and turn bystanders into witnesses. This extremely loud personal alarm is 120 dB and audible up to 600 feet (185M) away. The sleek, attractive personal alarm resembles a memory stick, meaning it is just as discreet as it is loud. Offering instant access, the key ring attachment connects the personal alarm to your backpack, keys or purse. To sound the reusable alarm, simply pull the metal chain from the device. Push the pin back in to stop the sound. The child-friendly alarm is a self-defense option for any age. 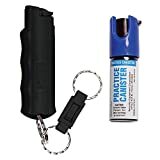 This keychain personal alarm is backed by 40 years in the security industry and developed by the #1 pepper spray brand trusted by police and consumers worldwide. ISO 9001:2008 certified. Protect yourself today! A burglary occurs every 14.5 seconds in the U.S., and budget cuts have led to an average 911 response time of 10 minutes. Help your whole family feel secure by adding another Key Fob Remote Control to your existing Wireless Home Security System (WP-100). 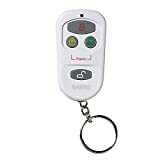 Simple and practical, the Key Fob Remote Control provides additional control of your wireless home alarm system by allowing another user to arm and disarm your WP-100 system up to 300 feet (100 m) away. The 1x12V battery is included, providing a greater value. The Key Fob Remote Control and all components of the Wireless Home Security System were developed by SABRE, the #1 pepper spray brand trusted by police and consumers worldwide, meaning this product is extremely reliable. Backed by 40 years in the security industry, SABRE products are ISO 9001:2008 certified and must pass rigorous quality assurance testing before leaving our facilities to give you peace of mind. Improve your home security today. 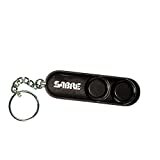 Cool style and hot protection are combined in SABRE's most popular key chain design. 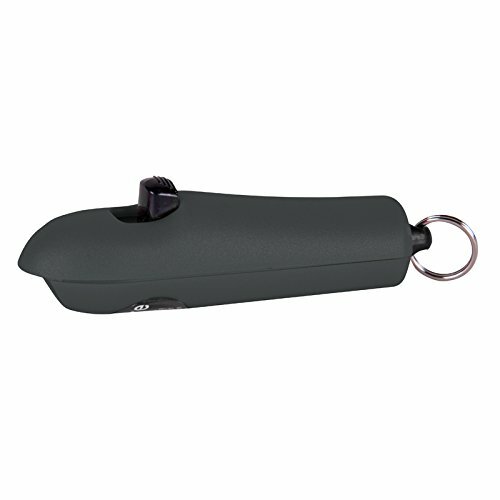 This sleek, Black compact pepper spray delivers a strong balistic stream to reduce wind blow back. Providing extremely practical protection, SABRE permits distance from your threat with its ten (10) foot range, and its quick release key ring and attachment clip ensure its accessible when needed! Protect yourself and your loved ones with the same brand used by public safety officers worldwide!. Expiration Date: 4 years from date of manufacture.